My husband’s hairline started receding when he was in college. Several years ago, he decided to shave off his fringe and go completely bald. 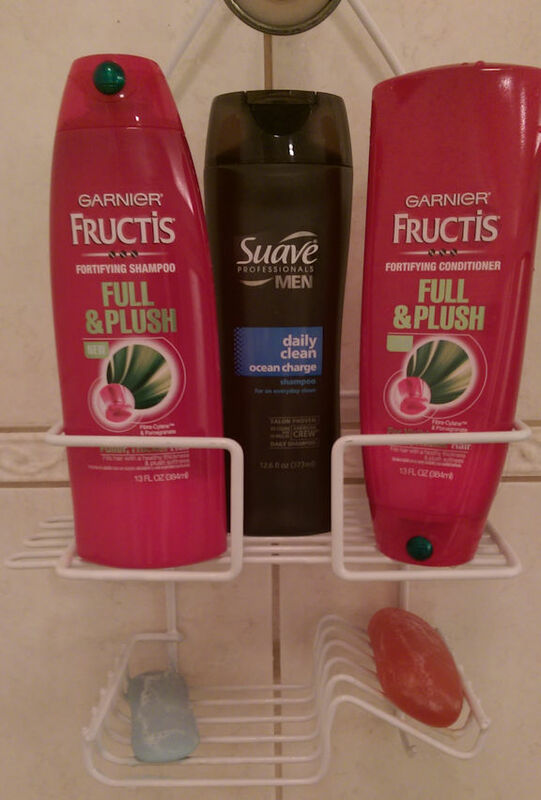 He still left a bottle of men’s shampoo in the middle of our shower caddy, though, in between my hair products. Keeping his shampoo wasn’t totally absurd at first because he used it occasionally, whenever he did not get around to shaving his head for a few days. As he got more in the habit of shaving his head regularly, the shampoo got less use. Last week he realized that he hadn’t touched it in ages, and he wondered out loud, “Why do I still have this?” Of course, there was no good answer—that’s always how it goes with clutter!